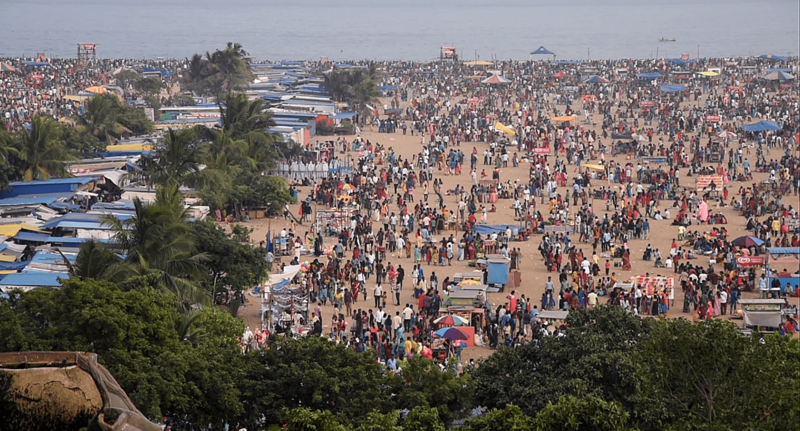 With summer approaching, the beaches in Chennai are expected to have more visitors looking to beat the heat but sadly, given the state of safety measures in these beaches, the safe return of the visitor is entirely up to chance and personal precautions. The lack of adequate safeguards is serious cause for concern among citizens and NGOs alike. A recent case, in which a teen hockey player in Chennai drowned off the Marina, spurred the Madras High Court (MHC) into action. The court directed the state government to install watchtowers and station lifesaving boats on the beach to prevent any untoward incidents. However, the court’s decision proved to be of little consequence. “After the Madras High Court judge stated the order, he got transferred and the work was set to complete within four weeks. It has been more than three months now and the measures to install safety equipment is yet to begin. The Home Secretary of the TN police department is once again called to document the updates on the order issued by the previous judge,” shared an Inspector who wished to remain anonymous. When Avinash D, a resident of Perungalathur visited Marina Beach during a recent weekend, he learned that the cops patrolling the beach on ATVs (All Terrain Vehicles) had been on leave for three consecutive days. “Fishermen and the cops must work hand-in-hand to protect the visitors from the dangers of the sea,” he said. In 2018, eleven drowning cases have been reported in the limits of Anna Square police station and two in D5 Marina Police Station. The city’s Mounted Police sent a total of 16 cops for horse patrol duty. In addition, two cops each from D5 police station and Anna Square Police Station were dispatched to monitor the Marina coast on all-terrain vehicles (ATVs). Despite the cops going on rounds, the beach monitoring system has not been efficient. “In the second week of March, a man attempted to commit suicide; two commoners who tried to rescue him died though the one who attempted suicide is alive. Even if an ordinary passer-by tries to rescue someone, adequate equipment to ensure safety is lacking,” said another Inspector. Are the cops being trained? On Friday, Saturday and Sunday, four cops go for rounds between 5 pm and 12 am on ATVs. Sixteen cops patrol on horses twice a day — between 5 am and 7 am, and again from 5 pm to 7 pm. “It has been six decades since I started volunteering as a lifeguard to save people. We are usually called for a day, but are not compensated or given any equipment to save people. At times we are also given petty jobs like carrying food packets for the cops from the police station,” said Mani, a 70-year-old fisherman from Nochikuppam. Twice a year, during Kaanum Pongal and New Year, fishermen assist the state police department by volunteering as lifeguards. 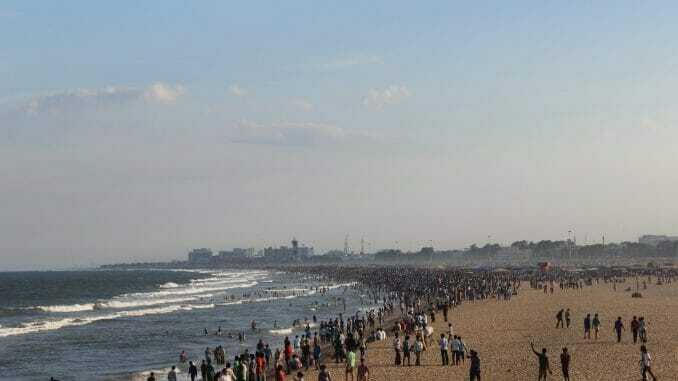 “There are cops who take rounds on Marina Beach to aid people, but that’s largely lip service. They are either inactive or don’t turn up for monitoring when needed. Even on normal days, when the cops are supposed to be on duty, it is ultimately we, fishermen, who save people if they are in trouble,” says one such volunteer. According to the fisher folks, a job such as this — monitoring beaches and helping those in distress — requires complete dedication of time and energy. For fishermen, their livelihood and sustenance depend on fishing every day, and so they are ready to be lifeguards regularly only if they are compensated accordingly. It was recently reported that the state tourism department plans to have watchtowers and rescue boats to monitor visitors to the beach and provide quick assistance to those in need. Nothing has materialized so far, however. “In the US, for example, there are a lot of safety measures in place for preventing incidents of drowning, but I don’t see any such steps taken here. All that I can expect is for a fence to be built between the Kannagi statue and Napier Bridge. This stretch is dangerous because of high water currents. It is also alleged that swimmers often get stuck in the remnants of an old ship that drowned here five decades ago,” says one police official. While talks have been underway for years, the government has not taken take any concrete action towards ensuring safety in the beaches, such as engaging the help of fishermen and NGOs in a systematic and regular manner. “People should be sensitized about the beach, which is generally perceived as harmless. There should be a campaign to educate people about the extent to which the sea can get violent; visitors should be made to respect and fear the sea. 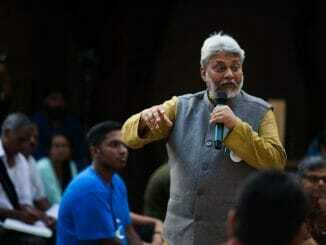 It is the overall culture of safety that is found to be missing,” says renowned environment activist from the city, Nithyanand Jayaraman. Jayaraman is of the opinion that mere placement of signage would not be of any use, especially if the visitors are illiterate. Along with signboards, there should also be audio alerts aired on the beach. 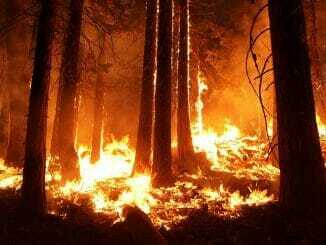 The activist also stressed on creation of a pre-emptive, safe culture, that is not just limited to handling of forest fire or floods or tidal waves, but should prevail in all situations.